The world is a better place than it used to be. People are healthier, wealthier, and live longer. Yet the escapes from destitution by so many has left gaping inequalities between people and nations. 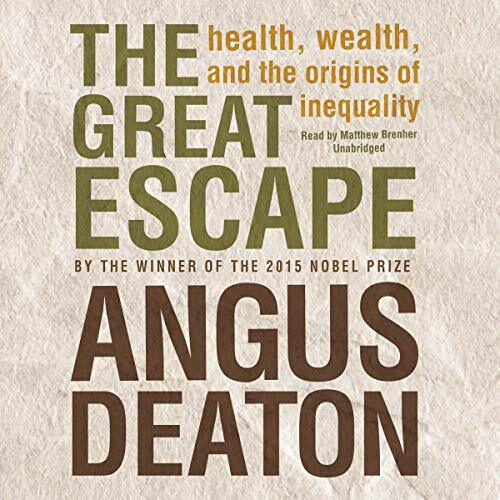 In The Great Escape, Angus Deaton - one of the foremost experts on economic development and on poverty - tells the remarkable story of how, beginning 250 years ago, some parts of the world experienced sustained progress, opening up gaps and setting the stage for today's disproportionately unequal world. Deaton takes an in-depth look at the historical and ongoing patterns behind the health and wealth of nations and addresses what needs to be done to help those left behind. Deaton describes vast innovations and wrenching setbacks: the successes of antibiotics, pest control, vaccinations, and clean water on one hand and disastrous famines and the HIV/AIDS epidemic on the other. He examines the United States, a nation that has prospered but is today experiencing slower growth and increasing inequality. He also considers how economic growth in India and China has improved the lives of more than a billion people. Deaton argues that international aid has been ineffective and even harmful. 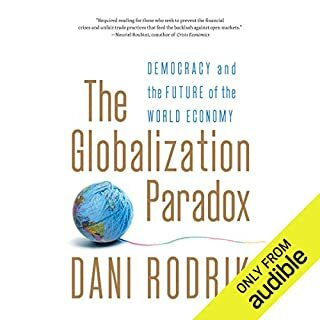 He suggests alternative efforts - including reforming incentives to drug companies and lifting trade restrictions - that will allow the developing world to bring about its own great escape. 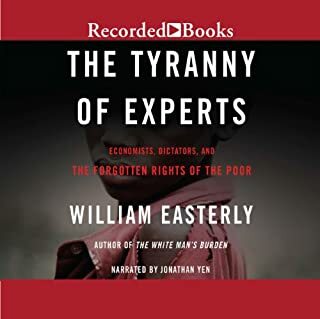 Deaton uses the story line of the movie The Great Escape to recount how advances in knowledge on health and wealth create the opportunity for some to escape the world of poverty thereby creating or deepening inequality. 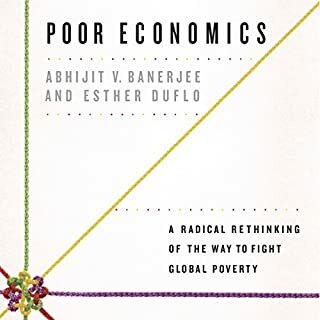 This evidence based, jargon free book is refreshingly impartial in its treatment of inequality. A must read (listen) for those who care about inequality and want to do something about it. The book contains some tables and graphics that are well enough presented but require a little imagination to mentally recreate from the verbal description. 1. Thoughts and prayers approach: Wish the reader would have read a little faster and then accept your fate. 2. Politely ask amazon that they build an iphone audible app that will give the listeners an option to listen at speed of 1.10x or 1.15x. The 1.0x speed is too slow. 1.25x speed is too fast. 3. Buy an Android phone on which such options are available for the Audible app. what is going on with poverty? great, well researched and well thought out book! Awesome book, but a little hard to follow in audio form without seeing referenced graphs. This is a very informative book. The arguments are well constructed, explanations are clear. It is explained in a bit of a dry and academic fashion however. 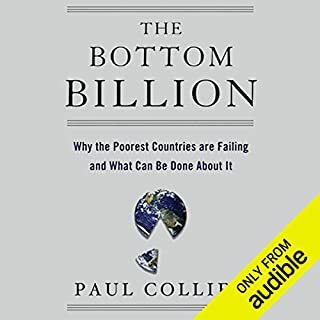 I recommend this book for anyone interested in international povery and inequality. 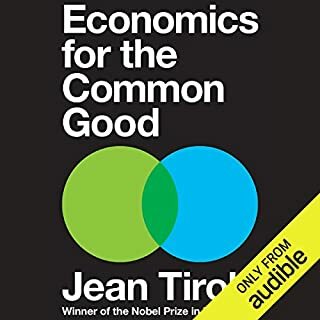 Probably a very interesting book, however constant references to graphs I can't see because I am listning to an audiobook, made me feel like I was missing out on a lot of points. Go for the printed or tablet version. Deaton's tome combines a tad dry presentation with incredibly informative and well-argued contents. Summarizes decades worth of research. Provides some good work on development, growth and wealth creation, with a special focus on public health improvements. 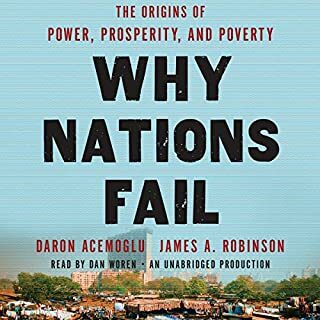 Among its highlights, the book offers a strident critique of foreign aid and technocratic management from an institutional point of view. The audiobook suffers from the presence of many graphs, which must be read separately.